In the Last Post, I wrote a little about Aliases in PowerShell. So What about creating an Alias. 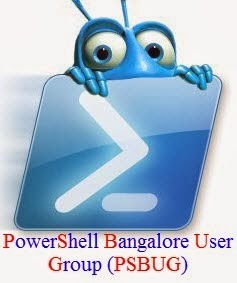 Yes we have the option for creating New Alias in PowerShell.And the cmldlet used for Creating aliases in PowerShell is New-Alias. So, As Usuall, We Can Go For Get-Help on New-Alias cmdlet. Let's look at the Syntax. With the help of this Syntax, Lets create an Alias for a cmdlet. Say Test-Connection. Test-Connection cmdlet is used to Test connectivity to one or more remote computers. -Name:- Name of the cmdlet for which we have to create the Alias. -Value:- Name of the alias for the cmdlet which we are creating alias. -Description:- Description For the New alias of the cmdlet. Note: Since we Didn't mentioned Version and source info, Those are blank. Lets Test The Connectivity to Loopback Adapter. We Have succesfully created an Alias for Test-connection cmdlet.